GOMMA » New artist: BAROTTI – 1st single out now. 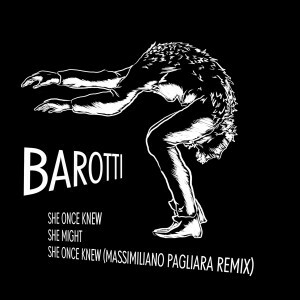 New artist: BAROTTI – 1st single out now. Barotti has a huge buzz in the international performing-art scene. Doing sound installations and happenings at art galleries and festivals all over the world. When it comes to music this cultural multi-tasker has created an own genre of music. Working with a full orchestra, connecting the beauty of classical instruments with the sound of old analog synths. He creates magic, organic soundscapes. Mystic atmospheres, raw and glamorous at the same time. Barotti’s music will remind you the atmosphere of Woodkid, Nils Frahm and Sohn, adding influences from the last 200 years of classical music and the distorted electronic aestheticism of Funkstörung and James Blake. The album was recorded in Casablanca and Berlin with a full orchestra.